Halibut is a mild-tasting, white fish. 1 How Long Do I Grill Fish in Foil? Cooking fish properly on the grill can be the difference between dry, flavorless fish, and a perfectly cooked dinner. Aluminum foil packets ensure that fish cooks evenly, and also allows you to cook whole servings of vegetables with the fish at the same time. 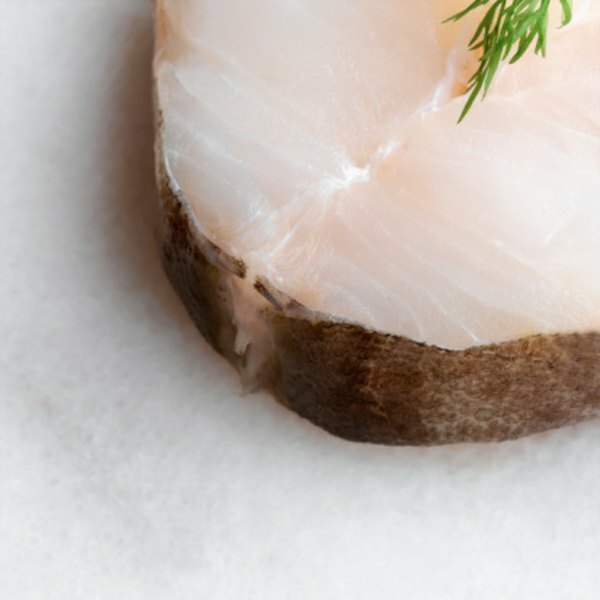 Halibut is perfect for grilling due to its oily nature, but still manages to be low in saturated fat. It's also an excellent source of protein and B12. With summer around the corner, choose a thick Halibut steak and head outdoors. Warm the grill. It will need to preheat for at least ten minutes before you add the foil packets. Slice the onion into thin rings and cut the carrot vertically into thin pieces. Cut four 18-inch squares of aluminum foil, and spray each center with cooking spray. Place each fillet on the center, then sprinkle with salt and pepper, and place onions and carrots on top. Melt the butter and combine with dill, lemon juice and parsley, then pour an equal amount onto each fillet. Bring up the sides of foil and fold over twice at the center, leaving space for air to circulate during cooking. Double fold the top and bottom ends. Place packets on the grill and cook for about 15-20 minutes. Fish is done when it is white and flakes easily with a fork. Change vegetables to your preference, just make sure they are sliced thinly as it will cook faster. Seasoning is interchangeable as well, try sprinkling curry or hot pepper to spice things up. 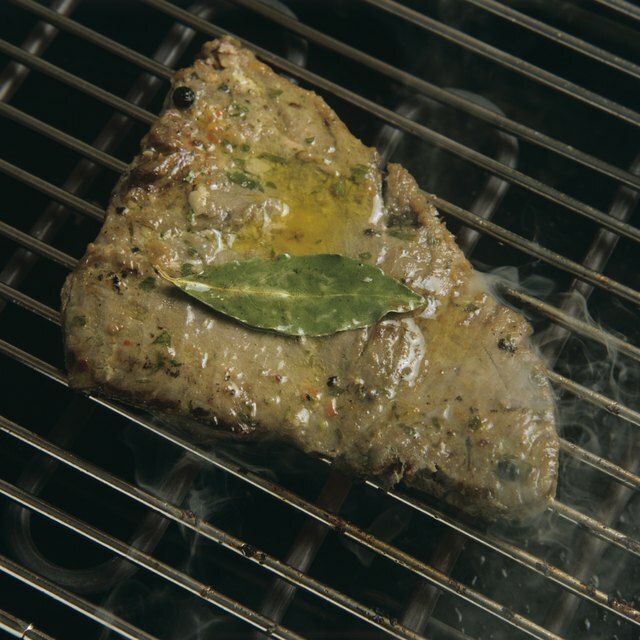 Packets will be filled with steam, handle with caution when opening to test doneness and when ready to eat. Do You Marinate Vegetables for Shish Kebab?